If you have an interest in deepening your understanding of the Buddhist path, you will benefit from this class. We study texts, authored by Venerable Geshe Kelsang Gyatso Rinpoche, that present the Buddhist path in a way that busy modern people can understand and practice. 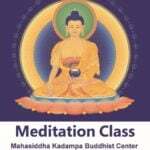 The class consists of reading from, and commentary on, the text along with guided meditations. We are currently studying the text How to Transform your Life. 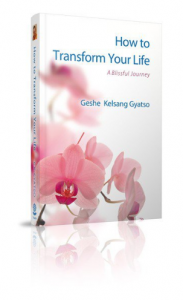 A free ebook is available for download at How to Transform Your Life. Previous experience is not necessary. Drop ins are welcome but you will gain the most from this class if you make it a part of your weekly schedule. No one turned away for lack of funds. You might like to bring along your copy of the text to read along in class and a notebook if you enjoy taking notes.